Sometimes it's good to go back and refresh our memories about books we've loved. In the case of today's post, I went back into my Goodreads history by 20-some-odd pages to find some of those hyped books that I really think deserve their accolades and enduring good reviews. In fact, I almost chose ten because I got so swept away! Don't forget to link up your own posts down below! 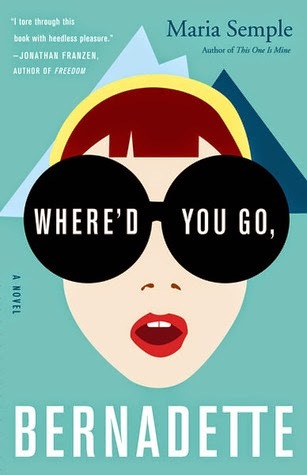 Starting with fiction, I resisted Where'd You Go, Bernadette? for ages! I just thought there was no way this seemingly chick-litish runaway hit could satisfy me, but sometimes I love being wrong. It was sharp, witty and full of charm. I'd even re-read it! Every RIP season you'll see The Bloody Chamber begin to pop up all over the interwebs. As a feminist fantasy classic, and a darn creepy read, it's only right. This little collection of fairy tale retellings and reimaginings is superb. Amazing writing, great thematic connections, and just a whole lotta perfection. 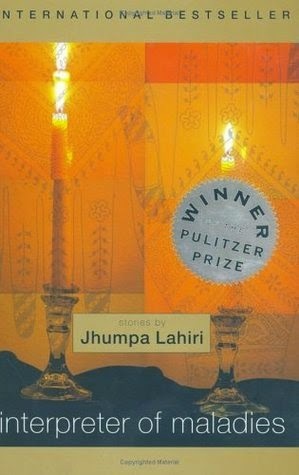 I'm pretty much convinced Jhumpa Lahiri can do no wrong, and Interpreter of Maladies, a collection of short stories, has a lot to do with my feeling that way. These immigrant tales and stories of stilted communication are pitch perfect. And I couldn't forget two of my all-time favorite non-fiction books. The Year of Magical Thinking will stomp on your heart. 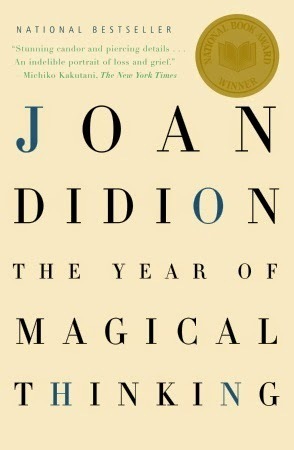 Didion tells of her husband's passing and the ensuing grief with such vivid, raw emotion. I read this one in a day and cried buckets. Kitchen Confidential, by Anthony Bourdain, is all it's cracked up to be. 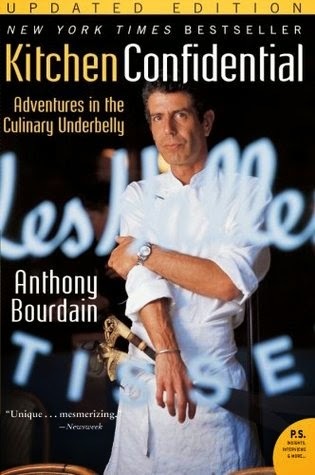 Brash, brazen, pissed off at the world and terribly knowledeable about food and the restaurant industry, this memoir really blew the top off. While Tony has mellowed in his later years, and continues to write smart, searing work about food and travel, this is still a great place to start. THE YEAR OF MAGICAL THINKING taught me so much about grief. It's nice to see it included here. Bernadette is a great pick! I resisted it too for awhile...and ended up loving it! And I love your Kitchen Confidential pick - that was my entrée into food writing. Oh, I TOTALLY agree with Bernadette. I was so nervous about reading that book because the hype was so huge, but it was even better than I expected. I remember a few years back when I was trying to find some good short stories, and I kept giving up book after book. Then I stumbled upon Maladies and fell completely in love. That is one author that KNOWS how to write stories! I was actually just rec'd Bernadette by Shannon as a good, light read for my holiday stack! I didn't end up able to visit the library before traveling, but wouldn't you know it, I found myself a copy at my grandparents' condo's library! I'm tearing through it at breakneck speed. Great selection. And The Year of Magical Thinking was SO hard to read but so, so worth it. Also loved Interpreter of Maladies, though it's been some time since I read it and the details have faded some. 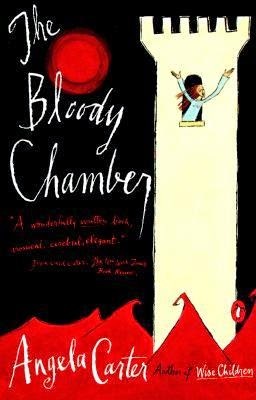 The Bloody Chamber is fantastic and so original! Where'd You Go, Bernadette? Sounds like a winner to me. I've seen it around but didn't find the urge to look into it. Now I do. Sounds like a great read. This was the first year I've ever read Angela Carter, although not the Bloody Chamber. I gave away Where Did You Go, Bernadette? for World Book Night 2014, and I was thrilled with it. What a marvelous spirit! I've actually read all of these except The Bloody Chamber, and I have to agree about how fantastic they are! Bernadette was great, wasn't it!? The only one I’ve read is Interpreter of Maladies and, unfortunately, I didn’t love it. BUT, I really want to read Bernadette, so maybe someday! Yay to Bernadette! I was just thinking about rereading that earlier this week -- it's such a dear of a book, and it makes me giggle every time. Looks like my to-read list just got longer! Interpreter of Maladies, Year of Magical Thinking, Kitchen Confidential, of my goodness your reading year was fantastic! Joan Didion is one of my favourite authors - so happy to see her on this list!